Sample favourite digital game objects. Please see linked original publication for credits. 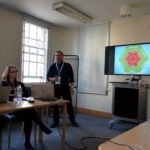 The HCI Games Group collaborated with a research project that also involved the Play & Interactive Experiences for Learning Lab at the New Mexico State University and the University of California at Irvine to investigate player behaviour regarding the collection of digital objects in games. The study aimed to understand what kinds of objects players collect and why. It was firstly presented at the CHI PLAY 2016 Conference, where it received an Honorary Mention as one of the best works present, and will be presented again next week at the upcoming Game Developers Conference (GDC) in San Francisco. The results suggested that collection interfaces currently available on most commercial games do not fully support players’ desires regarding their digital objects. Therefore, the research led to several design implications aimed to improve these interfaces in future games. These findings also have implications for serious games and gameful applications that use collections as one of the elements aimed at engaging and motivating the players. 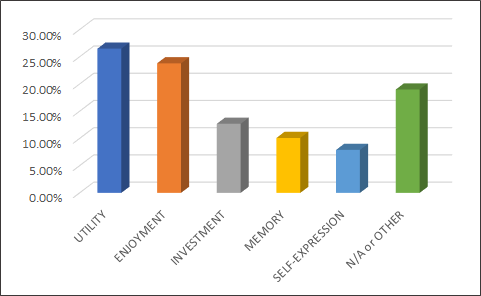 Considering why players value their digital game objects, the most prevalent reasons seem to be utility and enjoyment, followed by investment, memory, and self-expression. 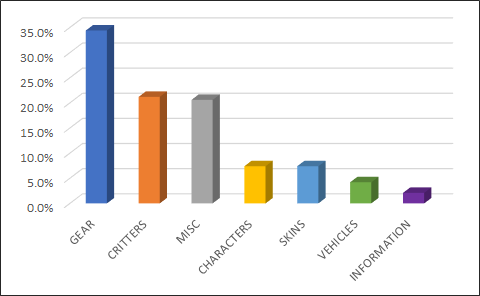 The data also showed that players value the social elements of collecting: 65% of the participants responded that they had shared their digital game objects with other players at least once by showing them to other players in-game, using them in-game, or publicly displaying them to others. Furthermore, these behaviours seem to be influenced by the player’s age or player type, a matter that will require further investigation in the future, according to the researchers. Based on these results, the authors suggested the following design implications, aimed at guiding the design of better collection interfaces for digital game objects. Current collection interfaces in games are often boring catalogues, where players unlock the objects they have already collected. However, curation is much more than a simple catalogue: curation is a form of authoring and creation in which the author carefully selects which objects to acquire and makes meaningful decisions on how to display and combine them. Thus, collection interfaces in games could allow players to curate the objects they have already unlocked, allowing players to create personalized ways to display their collections to others. The results have shown that mechanics drive value; thus, players often collect objects that change gameplay in some way — for example, a piece of gear that provides a special ability. Therefore, players often collect objects because they wish to use the abilities that the object provide; however, this opportunity is lost when the object is later sold or traded. To counter this, the researchers suggest that games could implement interfaces that preserve the mechanics of collected objects, for example, by allowing players to easily record videos of their object use, or even by allowing players to simulate the usefulness of an object even after said object is not in the player’s possession anymore. This simulation could even involve allowing players to replay some scenarios or challenges while using a particular object. Digital game objects often represent an investment made by the player and are collected to represent and achievement or the result of an effort or to remind the player of a particularly emotional experience within the game. Thus, collection interfaces could help players in preserving the context in which the objects were acquired or used, for example, by allowing players to attach metadata to objects or by saving information about how the object was acquired. This would allow players to more easily preserve the memory of the experiences attached to each object in their collection. Many games already provide some means of sharing or displaying objects to other players and this is something that more than half the surveyed players seem to enjoy. However, the study suggests that players might have different preferences on how to share their objects with other, so the researchers suggest that future investigation could reveal ways to provide more personalized sharing experiences. The paper concludes by suggesting that collection interfaces in games could potentially rise to a meta-game level, similarly to how meta-game rewards are organized in modern gaming platforms. In the authors’ opinion, individual games could begin by implementing collection interfaces that are meaningful to players according to the proposed design implications; this could later evolve toward a unified system to accumulate player-curated collections across games. The researchers also suggest that designing better collections interfaces can be of benefit to gameful applications and educational software because these interfaces could potentially help in deepening player investment and engagement with these platforms. 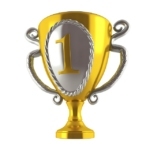 ← Gamification vs Gameful Design: why does it matter?